Southern fathers to them glory gave. At the head of that host yonder. Pray for Spain and for us sinners at the South, Holy Vincent! 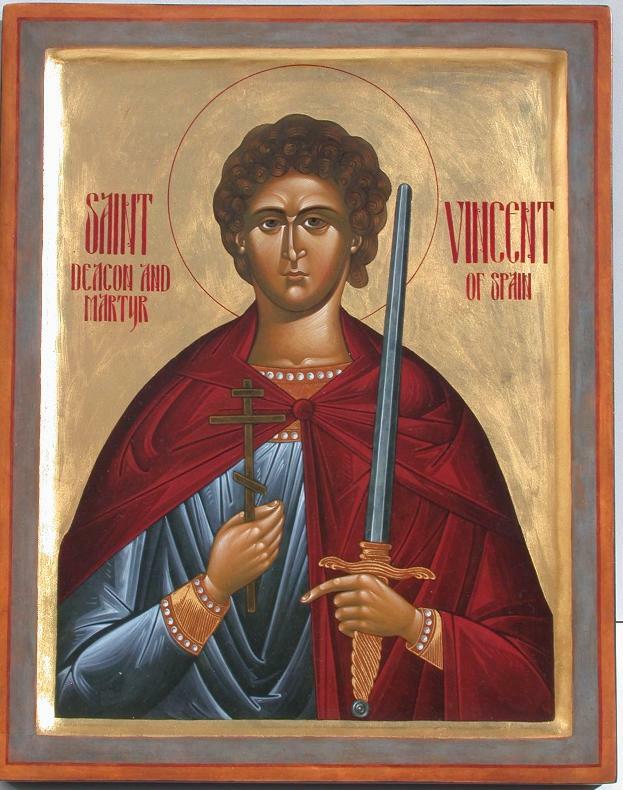 The Passion of St. Vincent the Martyr. renes, attend, and put away your crude observance. strength and all your authority; I openly resist it. suffering of death, are all mere sport to Christians. with slaughter and destroy the people of the godly. hiding in the flesh by the power and name of Christ. Your gods are devils too." let the scoundrel say no more. Imprison his speech. being lit up with the sight of thy presence, O Christ. lenge ! The tortured is bolder than the torturer ! again and tear them open." vicious seed may be burned with the fire it merits." with fire and bed « and plates." To these tasks Vincent hurries with quick step. ment of light may not quicken his noble spirit. and falls to pieces, and come in freedom to the skies." revived he may furnish food for suffering anew." supports, and wiping dry the bleeding wounds. claws, another eagerly licks the red gore on the body. which, closed though it was, had entered into it. was slain by his unnatural brother, ascended before. been released from prison like himself. governed wrath ? Will no limit break you ? "None. long course out to sea pitches it out amid the storms. driven with all their efforts, can reach its port. Esaias who was cut asunder. double prize, thou hast gained two laurels together. ear to his people and not lay all our sins to our charge.